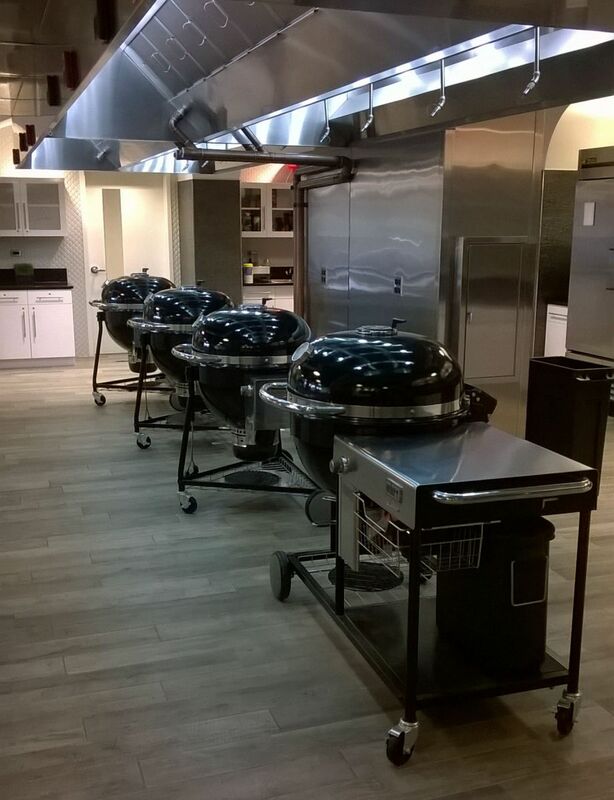 One of the perks of working at Weber is the opportunity to attend grilling classes at our beautiful Weber Academy at our headquarters in Palatine, Illinois. I consider myself to be pretty decent at grilling up almost anything on a Weber, but recently I had a chance to try grilling up something I’d never attempted before…Chili. First off, I LOVE chili, and especially at this time of year when the days are getting cooler and the nights longer, something like chili just seems to hit the spot in that perfect way. Needless to say, I was excited to learn how to make my own on the grill! We started out the class with a little orientation on how things were going to go. To begin, we’d pick out all of our ingredients. We had 4 options of proteins to choose from: pork loin, skirt steak, chicken or ground turkey. There was a variety of veggies to choose from, like beans, tomatoes, potatoes, onions, garlic, peppers, corn and a whole bunch of others. We would also need a liquid. There were things like beef and chicken broths, tomato paste, and beer (sadly not for drinking). Last, but not least, were our seasonings and our choice of wood to add a bit of smoky flavor. Next, we were divided into 4 groups. My group picked skirt steak as the protein, and we also added pretty much all of the veggies available. We went with chicken broth and tomato paste for our liquids. For the seasonings, we picked out salt, pepper, paprika, cumin, chili powder and a little bit of cayenne. We also picked out a combination of apple wood and hickory wood. On a normal day grilling at home, I preheat my grill, but the Grill Academy team had already done that for us! We were grilling on our new Summit Charcoal Grill. The Grill Academy team had setup the grills for indirect cooking, with the coals arranged on each side of the bowl and an empty space in the middle. Right over that empty space was our Gourmet BBQ System wok. We cut up our skirt steak into small cubes, seasoned and oiled it, and then went to the grill. 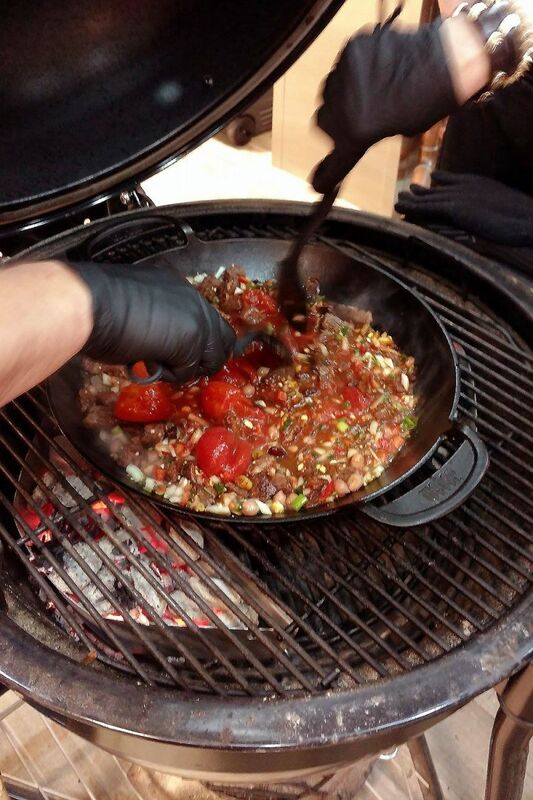 Now we added a little extra oil to the wok, put in all the skirt steak, added our wood chips to the top of the coals and closed the lid. While the meat was browning, we got all of our veggies prepared and poured them into the wok, as well as our liquids. We also poured on some extra seasoning after doing a taste test after about 20 minutes. After about 45 total minutes of grilling time the liquids had reduced and it was time to eat! We were given the option of adding a bit of shredded cheese and sour cream to top off our chili, which I eagerly piled onto my bowl. I’d never cooked chili on my own, let alone ever thought of trying it on the grill and I was pleasantly surprised with how quick and easy it was to do, not to mention how great it tasted! 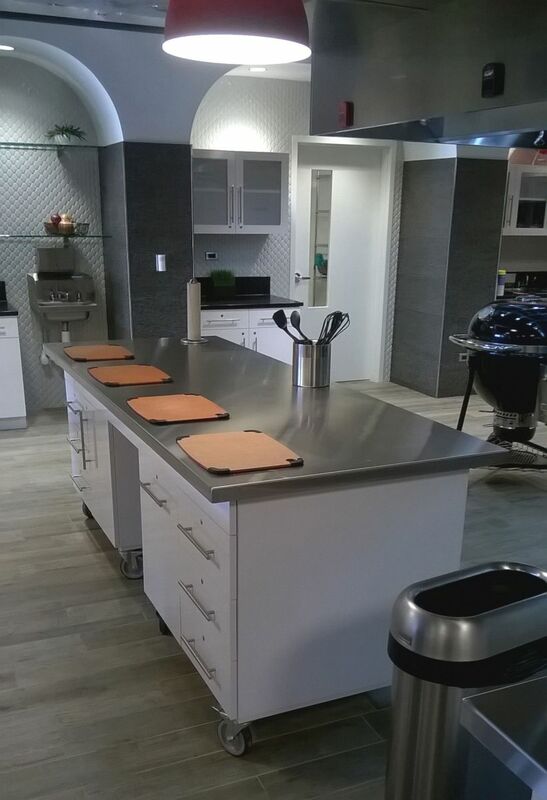 I can’t wait for my next chance to learn something new at our Grill Academy! 1) Less is more when it comes to seasonings and smoke. You can’t take it back if you’ve added too much, so start with a little and if you need to add more you always can. 2) Always make sure to put your proteins in the wok first to sear them for more flavor. 3) Make sure to cut your proteins into small enough pieces. I made the mistake of not cutting our skirt steak up quite enough, and while it didn’t bother me, others in the group would have preferred the pieces a bit smaller. 4) Don’t make your chili too hot! If you’re making chili for a group of people with different preferences for spiciness, then try to make your chili a “low heat” version, and you can always add some extra spices to your own bowl if you’d like it hotter. 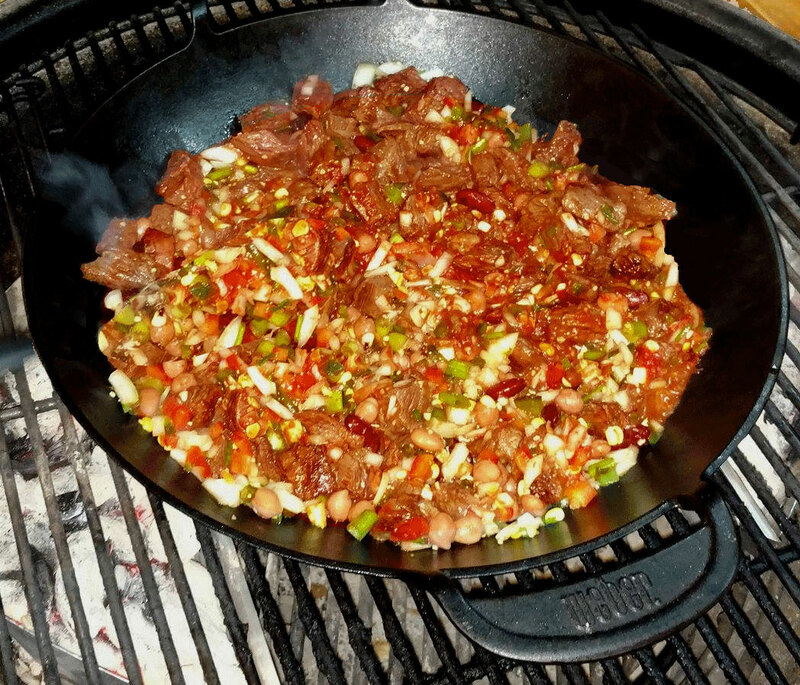 For more grilled chili recipes click here, here, here and here!